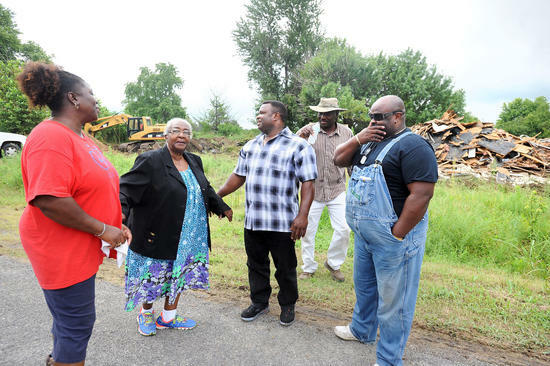 Displaced Pinhook residents came out yesterday to watch work begin on the demolition of the remaining structures in their destroyed town. Pinhook, which was devastated over four years ago by the operation of the Birds Point-New Madrid Floodway, has remained uninhabited. Residents are currently seeking to purchase land outside the Floodway so that they can rebuild their town away from the danger of another intentional levee breach.